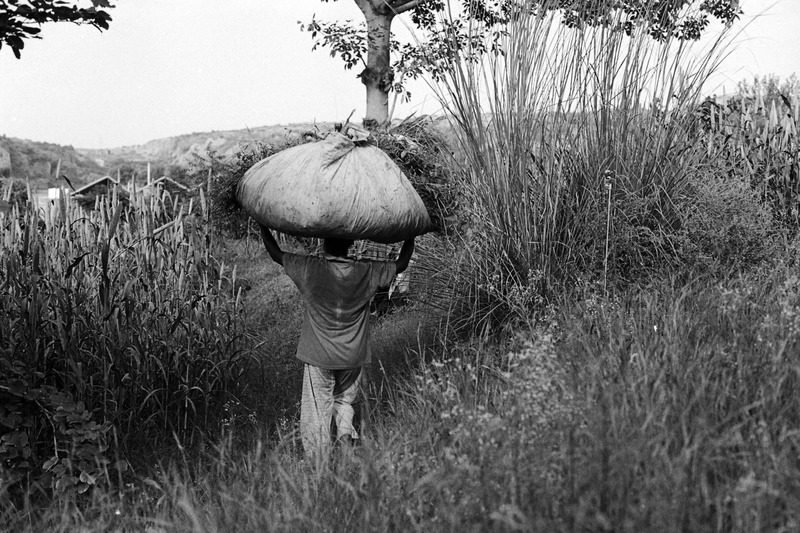 Momi carries the weight of his 5 member family on monthly wages of Rs 9,500. What you and I spend on a dinner for 3 at the Oberoi. The line graph below is unusually poignant, the reptile opening wide its jaws as if waiting for unsuspecting prey to feed its insatiable appetite. 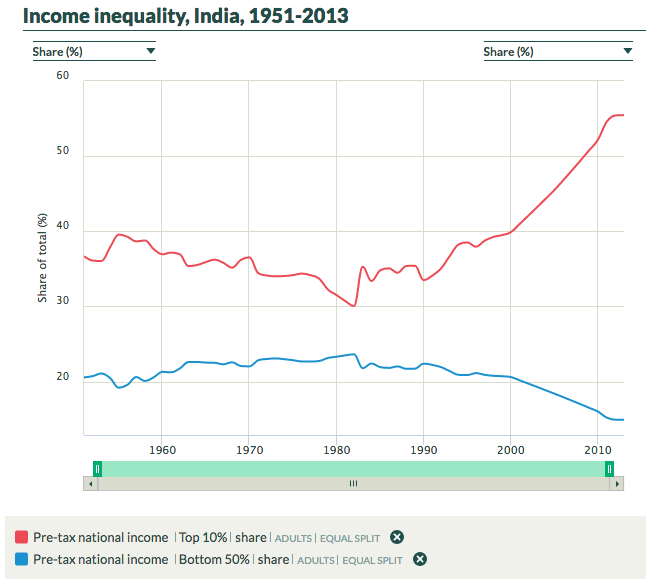 By 2014, the richest 10% of Indians owned 55% of national income, and the poorest 50% had dropped to 15%. Chancel & Piketty remind us that while the process of divergence of income (and hence wealth accumulation) of the ultra rich commenced during the reign of Rajiv Gandhi in 1984, this really took off after the ‘liberalisation’ of 1991 by Narasimha Rao that formally marked the end of India’s experiment with ‘Socialism’ and ‘freed’ large swathes of the economy from state control. What ‘liberalisation’ really did was create very unequal access to opportunities for wealth creation for the already rich through a ‘deregulation’ processes skewed heavily in their favor, and spiralling corruption as the entire elite classes dipped their hands in the till. To help us understand the depth of the systemic problem of massive and growing inequality in India, well known economists Chancel & Piketty have released, in July 2017, their insightful analysis of Indian data, with all the challenges of data integrity between income and consumption surveys of our government. This follows a similar 2005 report on Indian incomes by Banerjee & Piketty. The data is electrifying, even to someone of my very limited knowledge of economics, and is a severe indictment of Indian society. 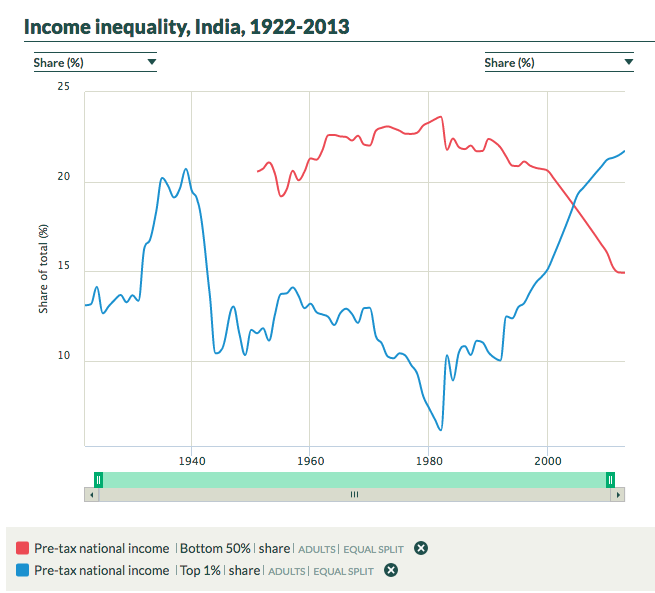 The conclusion, all the more stark and powerful bereft as it is of any hyperbole : “Current income inequality in India is higher than during pre-independence period.” is a damning conclusion of Indians in every section of the ruling elite. The independence in 1947 from the mercantile and ruthless British was welcome, but not this wholesale submission to the evil genius of the unregulated market. The focus of policy makers (bureaucrats, economists, politicians) – has been on GDP growth, or on growth of personal income, or on a reduction in poverty rates. 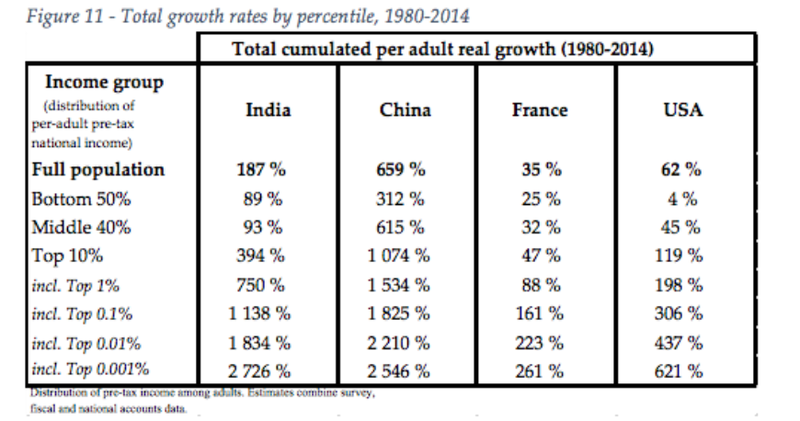 While India has been successful in all of these measures, the dramatic rise of inequality of incomes since the mid-1980s has been hidden away from public gaze: the richest 1% of Indian went from 6.2% of national income in 1983 to 21.7% in 2014, the top 0.1% went from 1.7% in 1983 to 8.6% in 2014; and the ultra rich 0.01% went from 0.4% share of national income in 1983 to 3.8% in 2014. What matters for social harmony, and is the greatest good of all, is the distribution of the wealth created in society, the growth of wealth simply cannot be an end in itself. Isn’t that enough of an unequal equation to urge one to thoughtful action? In a family, inequality of income amongst siblings often leads to jealousy, resentment, mistrust, anguish, prejudice, anger, hatred.. And this happens inspite of a qtr. century of bonding and sharing. It is inevitable that as inequality rises walls built on bitterness get stronger and taller… and any social unit that is built around resentment is ugly.